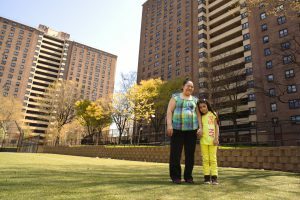 The Maite Aquino Program at The Family Center provides legal and social services to low-income, NYC mothers, children and family members affected by breast cancer. The Program is generously supported by the Judges and Lawyers Breast Cancer Alert (JALBCA) and Sullivan & Cromwell LLP. 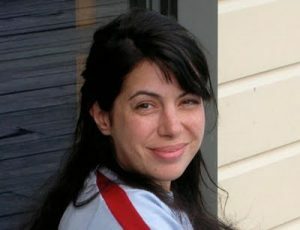 Maite Aquino was an attorney and partner at the law firm of Sullivan & Cromwell. She was a beloved wife and mother. In 2011, she passed away after a battle with breast cancer. Maite’s fellow partners and colleagues at Sullivan & Cromwell collaborated with JALBCA and The Family Center to create the Maite Aquino Program, which serves NYC women, children and family members affected by breast cancer. In addition to their breast cancer diagnosis, Maite Aquino Program clients often face multiple stressors including depression, domestic violence, and stigma. The combined effects of these stressors often impede their efforts to access services for themselves and their families. This Program helps them to overcome those barriers. The Family Center is proud to serve mothers affected by breast cancer. We are honored to preserve Maite’s legacy through our work. Since 2012, The Family Center’s Maite Aquino Program has provided 373 breast cancer-affected mothers (and 474 of their young children) with legal, social and health services. Sisters who lost their mother to breast cancer and receive services through The Maite Aquino Program at The Family Center. 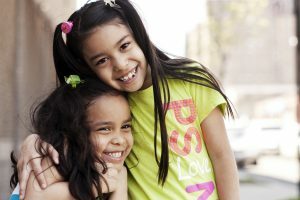 They are now being raised by their grandmother, thanks to Family Center attorneys working in The Maite Aquino Program. Make A Donation Today to Support The Maite Aquino Program! We work to keep New York families stronger, longer.